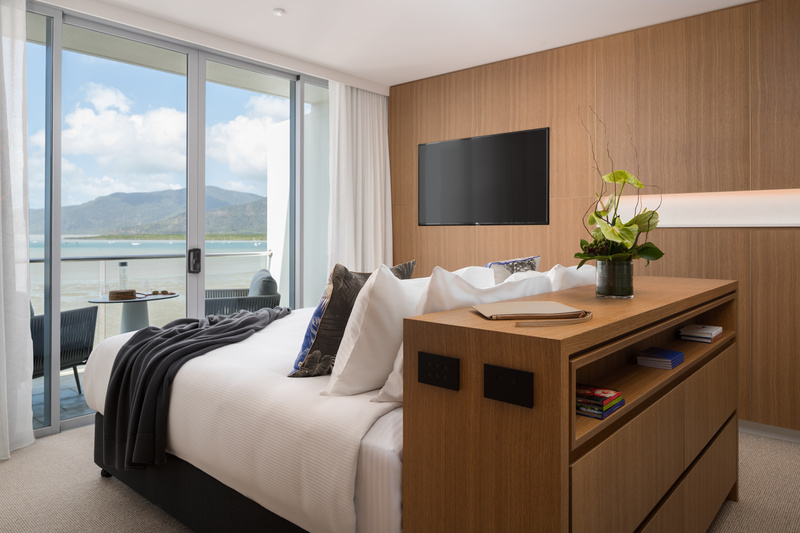 Queensland has won the Quaddie in a head-spinning race to launch four new hotels this month: Riley in Cairns, Ruby Apartments Gold Coast, The Westin Brisbane, and Ovolo The Valley. 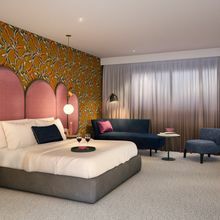 The new hotels come hot on the hooves of The Calile, The Emporeum and W Brisbane. 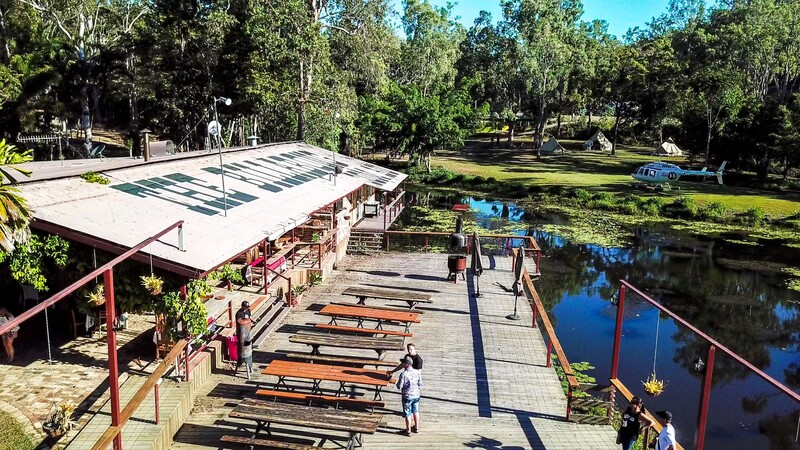 And, when it comes to the grazing paddock, the Sunshine State has launched a spate of winning new gastro choices starting with Brisbane's Howard Smith Wharves. 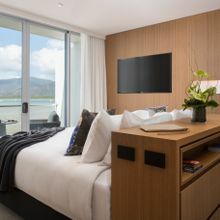 The much-anticipated five-star Riley, a Crystalbrook Collection Resort, will open its doors in Cairns today (November 6) putting #responsibletourism at the forefront with a pledge to donate $100 to Citizens of Great Barrier Reef from every room booked at crystalbrookcollection.com for stays in the first week of the hotel's operation. Mark Davie, CEO of Crystalbrook Collection said the initiative speaks to Crystalbrook's core value of #responsibleluxury which highlights environmental initiatives that enhance guest stays without compromising the creature comforts. At Riley this includes a paper free check-in and out, no plastic drinking bottles or straws, the replacement of plastic guest room key cards with 100% recycled wooden cards, and overall 90% less in-room paper than the average five-star hotel. 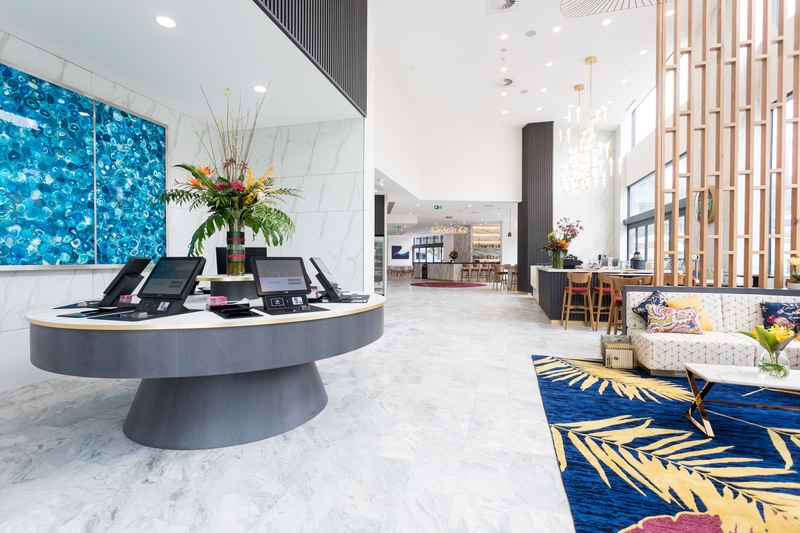 New Westin gives Brisbane guests a run for their money. 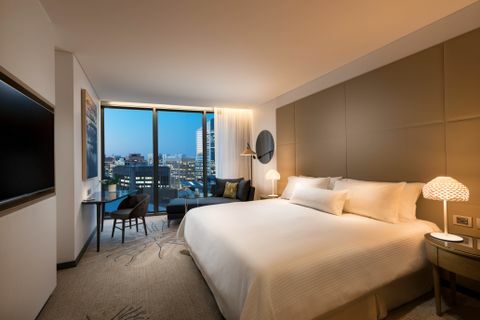 Lace up your trainers, The Westin Brisbane will roll out the welcome mat tomorrow (November 8), revealing an urban retreat for the river city with a focus on health and wellness and four dining outlets. 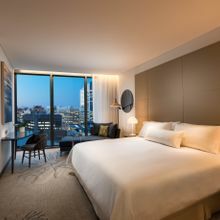 The Westin Brisbane will be the first Westin hotel in Australia to feature a Heavenly® Spa by Westin, as well as a fully equipped WestinWORKOUT® Fitness Studio, and resort style swimming pool with Brisbane's first swim-up pool bar central to a podium that will facilitate stretch and balance classes. More unusual in the lineup of health and wellness options is RunWESTIN Concierge, a resident running buddy available for guests. 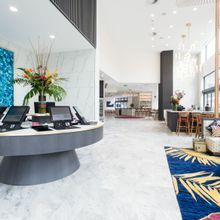 The AUD$200 million hotel is part of a mixed-use development called Mary Lane, which also houses a vibrant dining venue and stylish residences, in the heart of Brisbane's central business district. Overlo The Valley makes play out of a stay. The $55 million, 103-room 'Ovolo The Valley' will open November 28 stamping the brand's playful personality into Brisbane's eclectic Fortitude Valley Precinct. Acclaimed global architecture firm Woods Bagot, the award-winning designers behind the Brisbane's Howard Smith Wharves (also opening this month) and The Ivy in Sydney, have used the culture and heritage of surrounding Fortitude Valley as their inspiration for a design that's been described as a whimsical oasis of colour, art and curiosities. 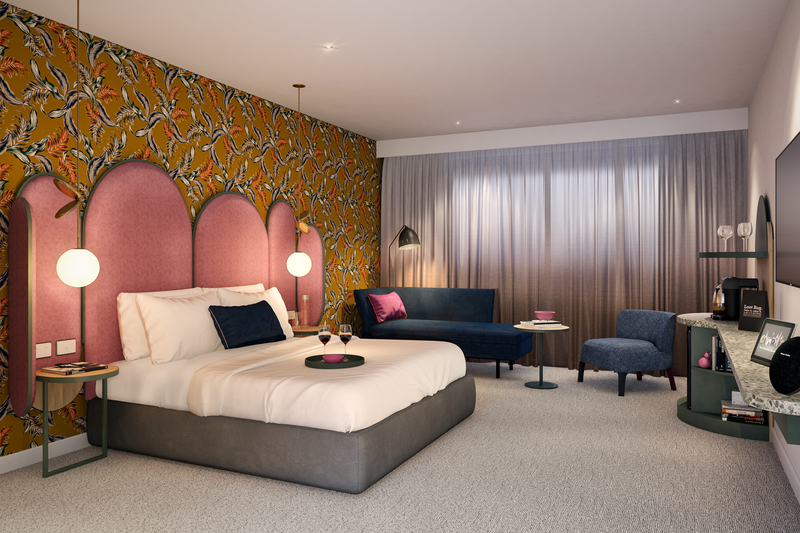 Now four years into their Australian presence, Ovolo The Valley will bring all the hallmarks of their hotel brand to The Valley, including commissioned art pieces, custom wallpaper and playful pieces of furniture. The much loved “freebies” will return as part of the tariff; including free breakfast, free wifi, free in-room mini bar, free laundry and free daily happy hour drinks. Ovolo The Valley is the sister hotel to Ovolo Inchcolm in nearby Spring Hill. The first guests to the Gold Coast's five-star Ruby Apartments checked in Monday November 5, 2018. Located in the first of four towers in the 'billion-dollar game-changer' development that is The Ruby Collection, the 30 story building features 243 apartments and 13 ground floor villas with ocean or hinterland views. The one, two, and three-bedroom apartments have been designed with families in mind and come with a full kitchen, lounge and dining areas. Family friendly facilities include a swimming pool, waterpark, and a kids club with fun programs like teddy bear workshops, cupcake decorating, outdoor movies and arts and crafts. Ruby's opening packages are available until 13 November for travel from 5 November 2018 to 31 March, 2020. The link between the majestic green spaces of New Farm and Brisbane's booming inner city is about to be connected when the first phase of Howard Smith Wharves opens this month, offering 2.7 hectares of green space, an expansive brewery and a raft of gastronomic venues under the north pylon of the iconic Story Bridge. Mr Percivals, a 600-metre square octagon shaped outdoor bar, with the historic Story Bridge overhead and head chef Damien Styles, formerly of The Fish House, at its helm. Stanley, a Hong Kong-inspired restaurant and bar housed in a two-storey, 1930s heritage-listed former water-police building. Stanley is the latest venue by Brisbane restaurateur Andrew Baturo. GRECA, a modern interpretation of the Greek taverna that will embrace Brisbane's sunny climate with open air dining and views of the river. Felons Brewing Co., a 500-seat wholesale and retail brewery with a slew of locally brewed and must-sip collaborations. The centrepiece of the new precinct will be Rivershed, a former heritage wharf building re-engineered into a flexible event space with uninterrupted views of the river and the Story Bridge and space for up to 1000 visitors. Rivershed will open in late November 2018 with The Houses, bespoke event spaces, opening in February 2019. The Howard Smith Wharves are accessible from the New Farm Riverwalk, City Reach Boardwalk and two cliff face lifts from Bowen Terrace. Peaks, parks and pubs. That's the short (or is it the “pot” sized) story of Heli North Queensland's new five-hour tour that takes guests from Cairns to the Atherton Tableland on a breathtaking chopper crawl to some of the finest taprooms in the tropics. 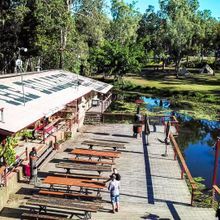 Tastings start at The Mountain View Hotel, a classic old Queenslander pub located on the Gillies highway, followed by a stop at the Peeramon Hotel, the state's highest pub on the shores of Lake Barrine and then Mt Uncle Distillery, an award-winning gin distillery in the middle of a banana plantation. The final watering hole is the aptly named 'The Billabong' in Kuranda, which overlooks a lagoon and Eucalypt woodlands. Between pit stop pot stops, guests cross lush rainforests, volcanic lakes and the Barron Gorge and Falls. Tours cost $799 per person (minimum four passengers) or a sole charter for $3995 and take five including 60 minutes of flying time. Travellers “doing” the Savannah Way have a new reason to stop at Burketown with the launch of a magical sunset river cruise on the Albert River, one of the state's most pristine waterways in Queensland's Gulf country, 15 hours drive south west from Cairns. Owned and operated by the Gangalidda and Garawa Peoples, Yagurli Tours will use the crimson outback sunset and the calm river waters as a backdrop to share cultural stories including how the winding river was formed by the Rainbow Serpent. The tidal waters of the Albert River are home to crocodiles and a myriad of native birdlife. The two-hour tours are held twice daily on demand at 10.00am and 5.00pm with a minimum of four guests. Tours cost $90 per person. Ho Ho Ho! Harvest time for Queensland's first Christmas tree farm.